It’s nearing the end of January and in just over a month we will say a bittersweet goodbye to Summer as we enter the cooler Autumn months. This Summer we have been blessed with beautiful blue skies and balmy evenings. 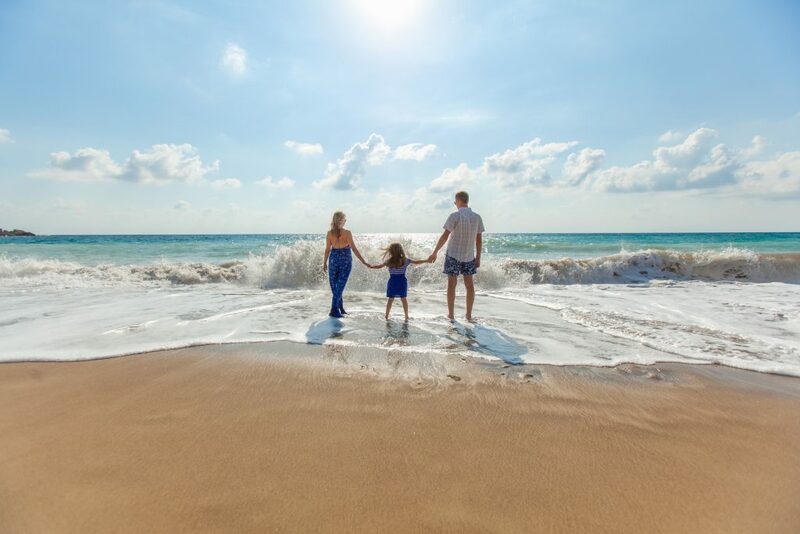 And while the warm weather encourages us to get outside and spend more time in nature – whether it’s a National Park, local beach, a community pool or your own backyard – this can mean greater exposure to ultraviolet (UV) radiation from the sun. Australia has seen record-high temperatures in the last few months, soaring between 30-40 degrees from dawn to dusk. And it looks like we have more sweltering days to come! In this article we give you the run-down on how to stay sun-safe, avoid heat stroke and protect your skin all year round. • Australia is the leading Skin Cancer capital of the world. • In 2018, statistics showed that 2 in 3 Australians will be diagnosed with skin cancer by the age of 70 years old. • Both basal cell and squamous cell are known as non-melanoma skin cancers. These cases are not usually considered life threatening but they should still be taken seriously. • Melanoma is the most dangerous form of skin cancer and if detected early, treatment is likely to be more successful. Talk to one of our highly skilled doctors at Elanora Heights Medical Practice to understand you level of risk and get advice on early detection. We offer a comprehensive Skin Cancer Clinic run by our experienced doctors specially trained in skin cancer medicine and surgical techniques. Our medical team provide high quality skin cancer checks, screening, diagnosis, treatment and management to ensure every person receives extensive care. Sunburn is considered the leading cause of melanomas. It is estimated that 1 in 8 adults and 1 in 5 teenagers will get sunburnt on average summer weekend. And this isn’t always the result of a clear, summers day! Cool and overcast days can still cause overexposure to UV rays. Evidence now shows that regular exposure to the sun, even without burning, over many years can also lead to skin cancer. • SLIP on protective clothing. Opt for breathable, lightweight materials and garments that cover more skin. Consider using a rash guard or sarong around your body between swims. Look for clothing with a UPF (ultraviolet protection factor) above 30, as this provides more effective protection from the sun. • SLOP on sunscreen. Remember to apply at least 20 minutes before going outside or entering the water. Reapply every 2 hours or more frequently if sweating, swimming or wiping skin down with a towel. • SLIDE on sunglasses. Reach for glasses that comply with Australian standards for appropriate UV filtering. • SLAP on a broad-brimmed hat. Choose a hat that covers the face, ears and neck area for optimal sun protection. • SEEK shade. Find an area undercover to stay cool and avoid overexposure to the sun. Research shows that overexposure to UV as a child or adolescent increases the risk of developing skin cancer as an adult. A baby’s skin is more sensitive and can burn easily. While some sun exposure is necessary for the healthy development of a growing child, extra care should be taken to ensure your baby is covered and out of direct sunlight when UV levels are high. Vitamin D forms in the skin when it is exposed to sunlight. We need enough Vitamin D for our bones, muscles, joints, mental health, immune system, and to protect us from a range of health problems and diseases. Despite the staggering rates of skin cancer in Australia, Vitamin D deficiency is a common condition affecting 30% of adults who profile with mild-severe low levels of Vitamin D.
To safely get enough Vitamin D all year round in Australia, it is recommended that people get sunlight in the early hours of the morning or late in the afternoon when the UV levels are not dangerous. According to the Cancer Council, 10-15 minutes of unprotected sun exposure to the face, arms and hands before 10am and after 4pm, three to four times a week, will provide enough Vitamin D without skin damage. However, these guidelines will vary during the winter months when UV levels are typically lower. If you have any concerns about your Vitamin D levels, consult with one of our knowledgeable doctors to determine your risk of Vitamin D deficiency and whether you need to take a Vitamin D supplement. Reduce your risk of skin cancer and skin damage by implementing these simple, effective and evidence-based strategies in your life. When you get to know your skin and learn ways to protect yourself from overexposure to the sun, you can improve your overall health and truly get the most out of Sydney’s beautiful Summer!